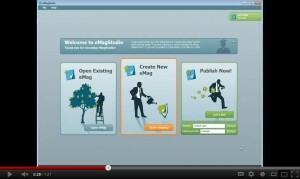 Tip: Follow eMagCreator on Twitter or Facebook to always be on top of industry and eMagCreator news. Follow the eMagCreator channel to always be the first to know when we have a new video tutorial available. In this tutorial you get a quick and simple explanation of what eMagStudio can do for you, and a presentation of some of the features it offers. 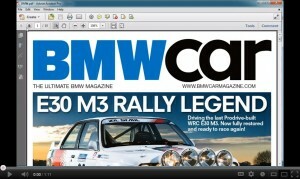 The simplest way from PDF to eMag in just 3 steps. You might want to have checked out which template to use before using this tutorial. Guide through the activation and download process. 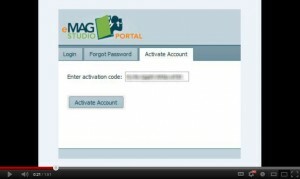 Also explains how to create more users and administer them on the eMagStudio Portal. The template picker is your tool for selecting one of the standard lay-out and design templates, that comes with eMagStudio. 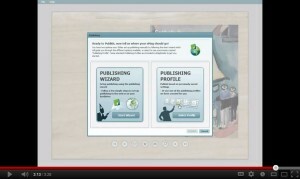 Explaining how to Publish you eMags with the help of the 6 steps in the EMagStudio Wizard.